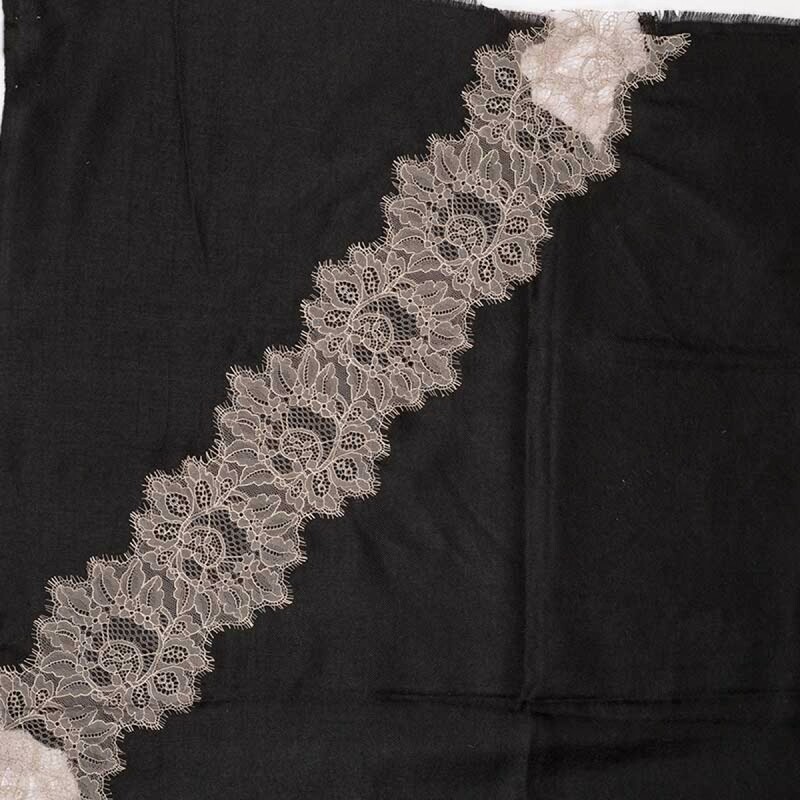 Angela Jey lace pashmina scarves are using laces from Italy and France, finished by the best tailors from our workshop in India. 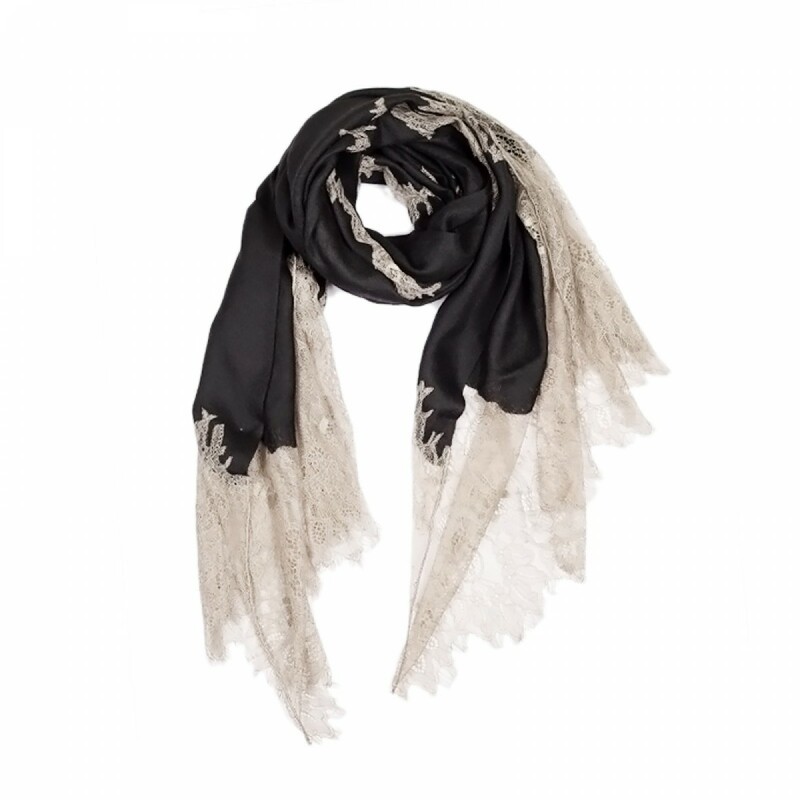 This luxurious, glamorous piece combined the best handcraft from different countries. A true borderless, elegant fashion accessory. 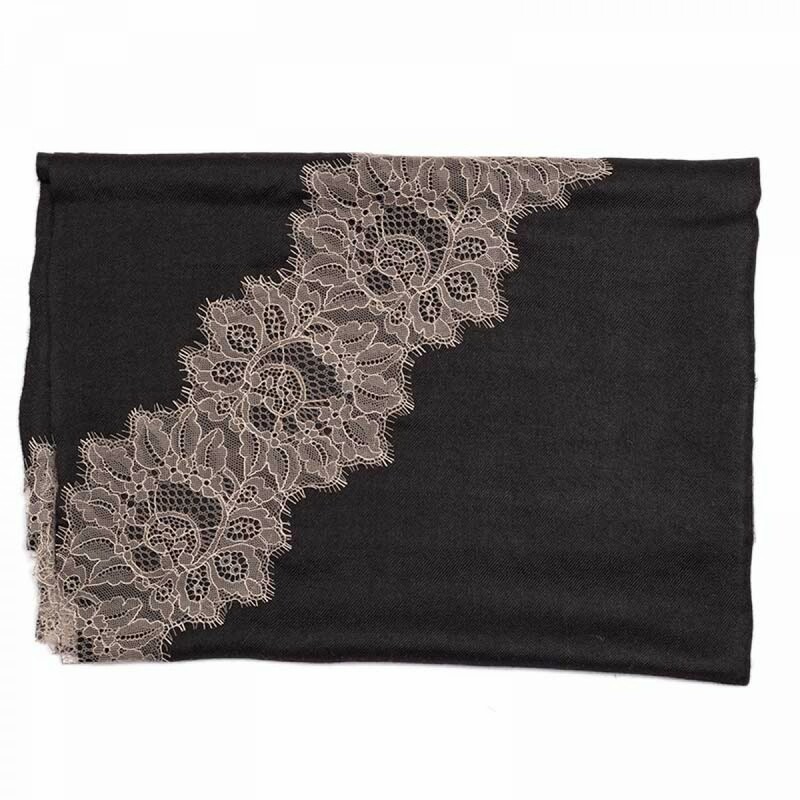 No returns accepted for lace pashmina. Availability: International shipping by air with tracking order.